Bernd Leno said returning to the Champions League with Bayer Leverkusen is his top priority. Bernd Leno says his focus is on qualifying for the Champions League with Bayer Leverkusen, but he could consider a move abroad, amid reported links to Arsenal or Napoli. Leno, 26, has long established himself as one of the Bundesliga's top goalkeepers. 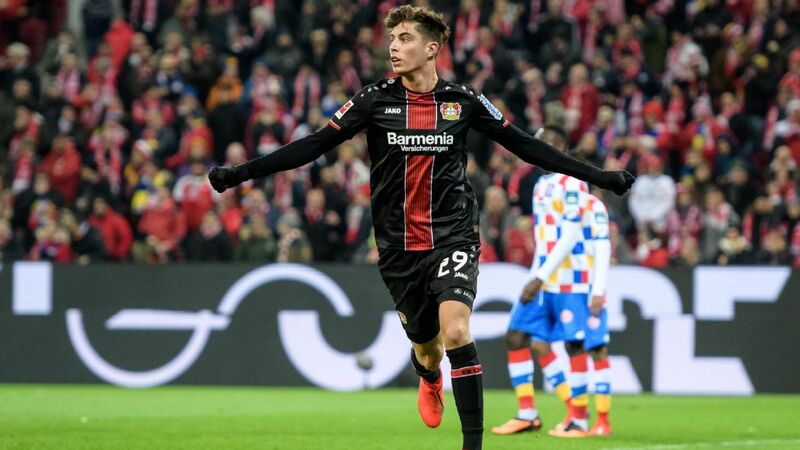 He has made 225 league appearances for Bayer Leverkusen and is in contention to be called up by Germany for the World Cup this summer, although he will not be coach Joachim Low's first choice. On Tuesday, Bild reported that Arsenal and Napoli are interested in Leno, who joined Leverkusen from Stuttgart in 2011 and reportedly has a €25 million release clause. Speaking to Sport Bild on Wednesday, Leno confirmed he could consider a move abroad. "I have often said that playing abroad is tempting for me," Leno said. "But right now, I am not wasting too much time on those thoughts. First of all, I want to return to Champions League with Bayer Leverkusen." Leno had been linked to a move to Real Madrid, Tottenham Hotspur and RB Leipzig in summer 2015 before choosing not to trigger his release clause. "There's been speculation like that two years ago and I thought about that too much back then," he said. "Those questions kept coming. Two years down the road, I am more relaxed now."